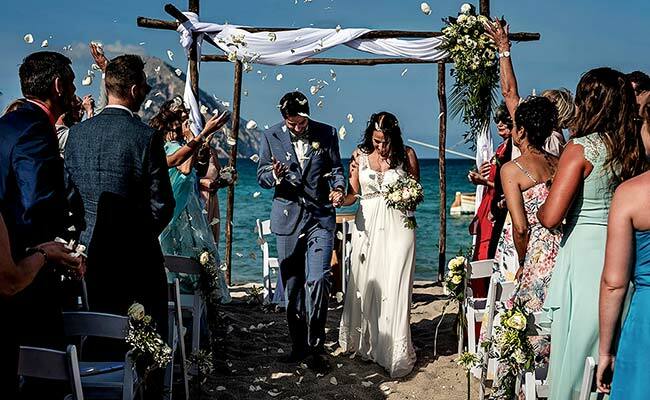 Are you thinking of an unforgettable, lavish wedding party on the beach? We have the right location for you. 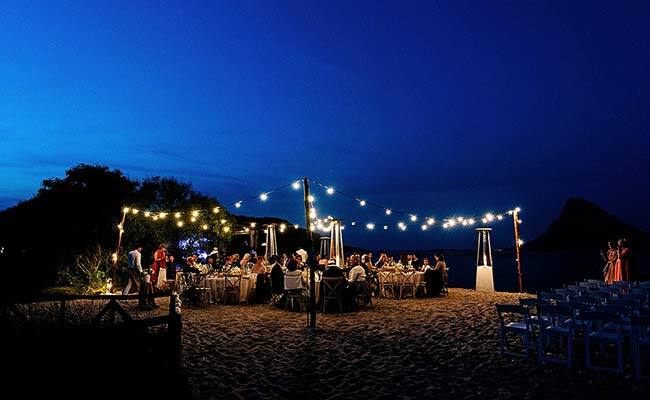 A beach restaurant in a beautiful bay in Sardinia. 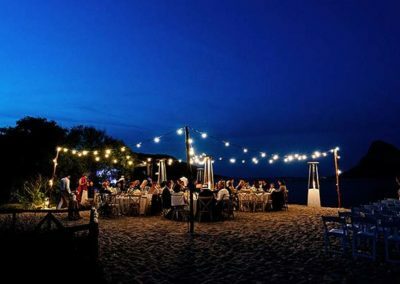 Very close to the Costa Smeralda and Olbia with stunning views on the offshore island of Tavolara. Dreams can come true. 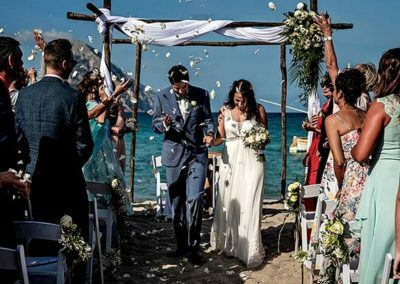 A Wedding surrounded by white sand and with the crystal clear sea on the background. 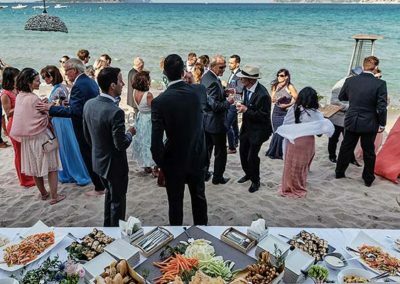 Also the wedding banquet can take place directly on the beach or on the restaurant terrace, just as you like! 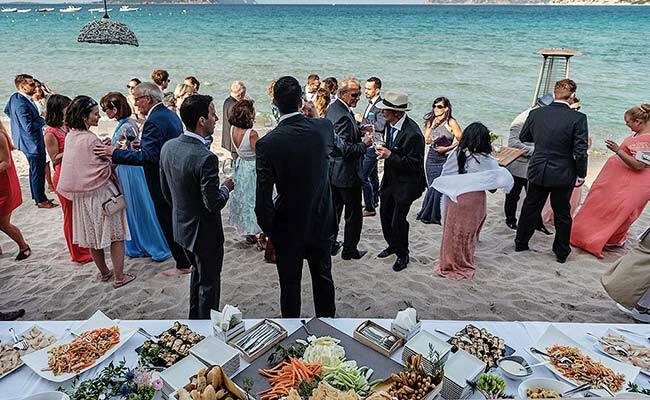 Followed by a lavish beach party until the early morning hours.